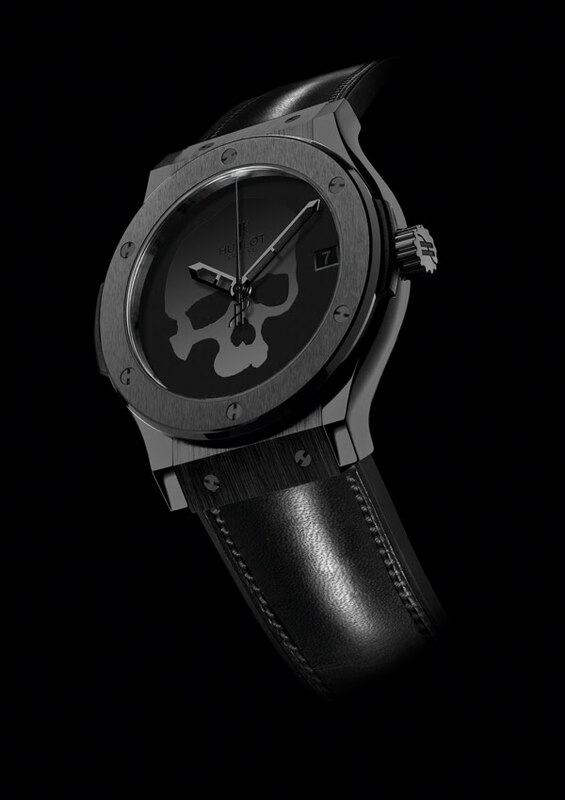 2012/05/09 - Hublot The Skull Bang is a rock'n'roll rebel! This is the Skull Bang, a piece made entirely from black ceramic and featuring an attractive stylised skull on its dial. It is already a collector's item, limited to just 100 pieces worldwide, and has been specially developed by Hublot for the brand's friend and long-term partner in Paris, Laurent Picciotto, a man whose flair has made him a legend in the watchmaking world, and one of the first to demonstrate his belief in Hublot by opening the Swiss watch brand's first boutique in the world in 2007 at 271 Rue Saint Honoré in Paris' 1st arrondissement, where this limited edition will be exclusively available. Thank you Mr Picciotto!